EHF Mediterrenean Games Under 16 Fixtures!!!! This is the temporary games program for the coming games. This is still not final and can be changed. Probably in the History of Maltese Hockey this is the 1st time that the National team has been given so much importance and dedication. For the 1st time in the history of Maltese Hockey the Malta National team will be competing with 3 different teams in the following months. As anticipated Qormi has a big influence on the National teams with the club with most partecipating players. The Malta Senior team will be competing the the European Nation Championships that will be held in Lithuania in July. In the 19 player list Qormi has nothing less then 11 players!!!!! These are Ramon Chircop, Jospeh Cuschieri, Gareth Dimech, Juan Sarcia, Zachary DeGiovanni, Thomas DeGiovanni, John Williams, Justin Bonello, Keith Calleja, Steve Tanti and Jonathan Borg. Till now the National team played 3 friendlies vs Rabat-White Hart 4-0 (scorers T.DeGiovanni, S.Tanti, M.Camilleri, J.Williams) and twice against Stirling University 6-1 (scorers J.Williams 2, M.Camilleri 2, S.Tanti., K.Calleja) and 10-0 (J.Williams 3, T.DeGiovanni 3, J.Bonello 2, S.Tanti, Z.DeGiovanni). On Saturday the National team will be leaving the island to play 2 friendlies against CUS Catania and Val Verde. Meanwile an Hockey 5s Under 16 National Competition is being organized by the EHF and this will be hosted in Malta. Malta will be taking part with the Malta Under 16 boys and with the Malta Girls team. This is the 1st time that Malta has a Junior team competing in European cups. The Under 16 boys will be led by Qormi Head coach Andre Ghio assisted by Nursery coach John WIlliams. The boys team has 4 players from our club in the temporary list, namely, Keith Bajada, Kurt Darmanin, Karl Gatt and 12 year old Luke Bajada. While in the Girls team Qormi will be represented by Bernice Calleja, Nicole Zammit and Justine Pace Gasan. The tournament will be played on 2 days at the last weekend of June (27th and 28th). Good luck to all our players for these tournaments. It is an honour for our Nursery to be presented with 18 players in the National teams!!!! It should be an initiative to all the other players at our Nursery that they can be part of the National Setup one day. You all make Qormi proud!!! The Under 16 national side will be participating in June for the 1st time in the European Competitions. This event will be hosted in Malta. This will also be the 1st time that in Malta a junior national event is organized. This event will be the Under 16 European Hockey 5s event. The selection of the players will begin on Saturday 17th January, as the 1st trials will be done. For these trials 5 of our players has been selected. These are Keith Bajada, Kurt Darmanin, Karl Gatt, Jeremy Borg and Kyrone Busuttil. More trials will be organized before the final group is selected to begin training sessions as a National team. Good luck for these 5 nursery players. 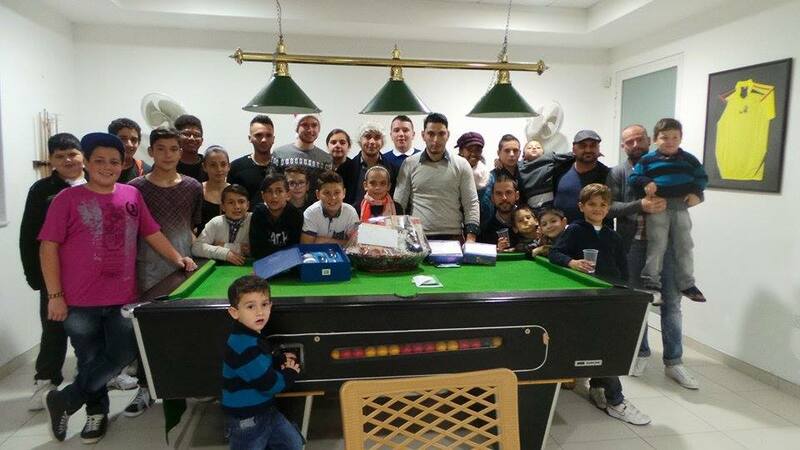 During the festive season, the Qormi Nursery organized several activities for the kids and their families. We must say that these activities has been a great success and the turnout from the players and their families was excellent and encourage us to organize more activities. On the 23rd December the Xmas party was organized. On the night Keith took over to organize some fun games with the children. Also the Nursery supplied the kids and parents with food and beverage for the day. On the 29th December the Nursery organized a fun festival including Kids, parents coaches and friends in one tournament. All participants, over 70 persons, had fun in a day where some touched their 1st hockey stick. We saw some incredible action on the pitch of Qormi with the Umpire a BIT blind sided for those parents that made some drastic mistakes!!!!!! As the last activity the Nursery on the 3rd of January took the kids to the Cinema. Unfortunately for those attending the same film, this wasn't as fun as our kids found it. The atmosphere during film was a bit too noisy for a cinema. After the cinema, the kids took some time to play in the Cinema playing area, challenging each other in video games, billiard and airhockey. 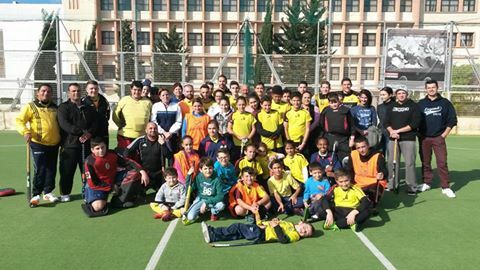 During the weekend Qormi Hockey Nursery initiated the new season with the Annual Camping. For the 3rd year the camping has been organized thanks to the initiative of Peter Grech and the organization and commitment of Keith Calleja and Jessica Millo. On Thursday the group of nursery players met at the club and will be doing several activities till Monday. Till now it was very clear that although working hard and doing everything a bit competitive, the participating players are having loads of fun. Also on Saturday, the nursery changed to the winter program and began trainings on Saturdays. In fact, 4 different ages will be having training on Saturdays. These are the beginners and the Under 11 at 9am. At 10:30 the Under 13 and Under 15 begins the training Sessions. On Tuesdays the Under 17 and Development group will be having training at 17:00. The Development program is a new initiative by the Qormi Hockey Nursery to enhance the nursery players skills at a young age, which will help of having players with a bigger skills knowledge that will help them to develop in better players for the future. This year the Qormi Nursery will be working hard to improve again the Nursery structure and take the hockey in Malta for the next step. The Qormi Nursery has been the leader for the last decade in the local hockey and as such will keep on taking initiatives to improve the Hockey level on the maltese islands. The Nursery, as done in the last few years, kept the momentum going and transferred training for the summer period on Tuesdays evening. The Nursery kept training going and more new kids began their enrolment through the St.Dorothy Summer School. Every one is invited to join in these training session based on fun and skills. Also, on the 2nd August, the Nursery together with the Senior team will be organizing the Hockey Annual Presentation. The nursery had another great season as finished national champions in the Under 11, Under 15 and Under 17 categories.. Also the Nursery won the Qormi Festival both categories (Under 11 and Under 13). The Seniors won the 9-a-side category , while in the 1st team category, won the Super Cup, Knock Out and for the 5th consecutive year, the National League. The event will begin with a bar-b-que and continue with the categories recognition in every category. In the nursery the most waited honor is the Junior Club award, where the kid that was of an example and support during the year will get recognition. On the seniors level, the Best Player and Club award are the most waited honors on the day. All those coming should contact the respective coach or the bar at the club. Hope to See you at the Club!!!!! Ball Boys/Girls do a great job. 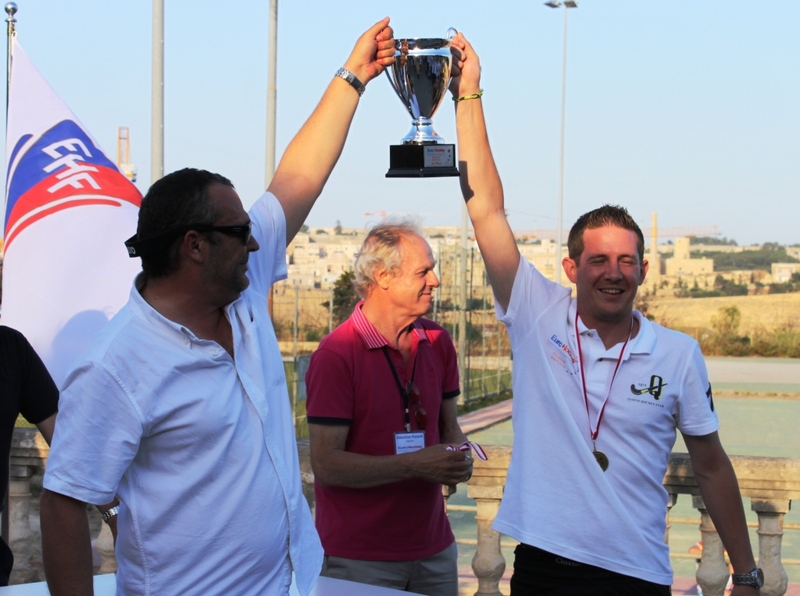 The Qormi Senior team has long been organizing the European Challenge 4. This took part in the 1st weekend of June and the Qormi Seniors made it a success off the pitch, thanks to the organizing committee, especially Mr Peter Grech. It was also a success on the pitch as the Club 1st team won all matches in a distinctive way, beating all opponents with relatively high scores. Also on personal honors, Qormi dominated the event with Juan Sarcia being the top scorer (5 goals in 3 matches) and Ramon Chircop the tournament Best Keeper. The Nursery was given the duty to take care of the ball boys for the 9 matches during the tournament. This was a great opportunity for the nursery players to be close to the action in this very important European tournament. Chris Smamut and Shawn Dimech both took the responsibility and thanks to the total Support of the parents and sponsors/donation brought from the Nursery parents we made this activity an opportunity to the Nursery players. The commitment of the Nursery players was also noted by the person responsible from the European Hockey Federation (EHF), the Technical Director, Mr Plaite, that on several occasions stated how he was impressed by the level of commitment, dedication and professionalism that the Ball boys/girls took their job. The committee would like to thank all those that supported this activity and is very happy with the commitment and the great support that was given to the team from the nursery players, parents and friends. 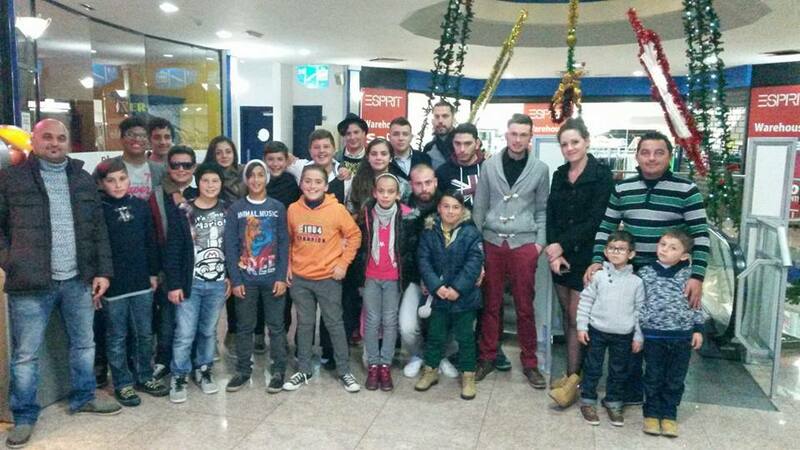 It was an activity that made the Qormi Hockey Club stronger thanks to all of you. The Qormi Hockey Nursery will be organizing the Annual Presentation on Saturday 12th July. More details will be sent later this week. However please leave this date free so that we celebrate together the closure of this very successful season. On Sunday 18th May, Qormi Hockey Nursery together with the Qormi Local Council organized for the 1st time in Maltese history a festival for the Under 11 and Under 13 categories. Although Qormi Hockey Nursery is renowned of organizing festivals through the years, this was the 1st ever National level festival for the Under 11s. This year it was the 1st time that the National Junior Committee organized competitions for this young age. 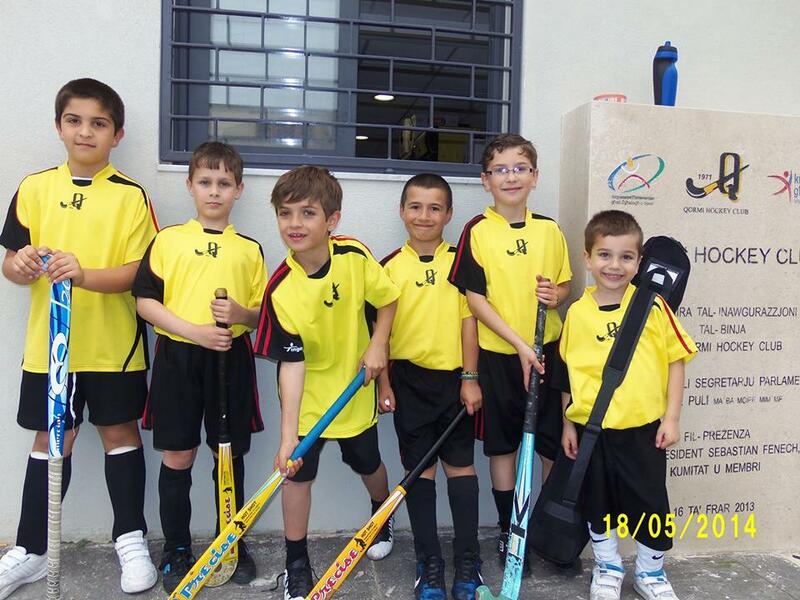 Also Qormi Hockey Nursery is focusing in the very young age groups and on the day it showed clearly the dividends. The competition moved to the Semi finals were Qormi A met Sliema and beat them 5-1, with Qormi suffering the 1st goal in the festival. While White Hart kept on impressing with an easy 4-0 win on Floriana YS. In the Final Qormi showed their superiority again and won the match 4-0. Sliema HS took 3rd place by beating 4th placed Floriana YS, while WHSH and Qormi B both settled for 5th place with the match between them being goalless. Qormi player Luke Bajada was voted as the Under 11 player of the festival. Again, Luke Bajad together with Niandra Xurereb (Qormi A) finished joint top scorers with 8 goals each. Qormi player Kyrone Busuttil was voted as Under 13 player of the Festival, while Luke Bajada finished again as Under 13 top scorer with 5 goals. On Saturday 20 March, Williams and Micallef managed to confirm mathematically the win of the National Under 15 title to Qormi. This team dominated the competition and with one match to go has a 4 point lead over the 2nd placed team Sliema.In fact Williams team needed just one point in the last 2 matches. Instead the team dominated the match against 2nd placed Sliema and won comfortably 6-2. For this match Williams started with Under 13 keeper Aquilina between posts. In Defence he began with Dimech, while in midfield Darmanin, Grixti, Deguara and Gatt formed a 4 player line. Keith Bajada began as a striker. The Qormi players controlled the match but failed to score in the 1st minutes. However there was no trouble for the Qormi defense that controlled without any particular issues. A Gatt right cross found Deguara that with a tricky move reversed the ball into goal. This gave impetus to Sliema and managed to score the draw in few minutes. However this was also a wake up call to the Qormi team and just after a few minutes he came in, Under 11 player, Luke Bajada put upfront the Qormi team again till half time. In the 2nd half Qormi went out stronger and managed to score 4 goals in succetion from Keith Bajada, twice, Karl Gatt and Shawn Dimech. In the last few minutes Sliema pulled one back. This Saturday Qormi Under 15 will be playing their last match of the season against Floriana. After the match the Under 15s will be celebrating their 8th consecutive title in a row!! Something never happened in the Maltese Hockey. It could be a memorable weekend as the Club after Saturday celebrations will be facing Floriana on Sunday morning,in the Seniors competitions for the National League title. Qormi U17 win National competitions for the 10th time!!!! On Saturday 4th January, the 1st weekend of the year, Qormi Under 17 managed to win the national league against the closest rivel, Floriana Young Starts, in a an easy run out of 6-1. The Under 17, coached from Cuschieri found no problems in setting the pace in this decisive game. In fact in the 1st 2 minutes it was Dimech that fired Qormi in front with a slap shot from the right side that ended in the top corner. Qormi kept on attacking and an actioncreated by Said from the left side hit into the dee with a Floriana player deflecting in goal. A few minutes later an action between Said and Micallef was finished by Said for the 3-0. In the last minutes of the 1st half Micallef managed to score the 4th goal after a good team action. With the 4 goals in favor and a very few actions from Floriana, Qormi practically closed the match in the 1st half. During the 2nd half Qormi kept on attacking. However Qormi had to wait 10 minutes to score again, when a Bonello run on the right side, he passed to Micallef that passed the ball immediately to Deguara that had no problems in scoring the Qormi 5th goal. Few minutes later Micallef run from the right side, dribbled the keeper and finished with a reverse hit for the Qormi 6th goal. With the Qormi team slowing down the tempo, Floriana managed to get one back in the last minutes. With this result Qormi have a 5 points advantage with 2 matches still to play, mathematically being the Under 17 Champions for Season 2013-14. Well done to all players and coaches for this success. Qormi Starting line up: Shamison Mifsud, Ayrton Falzon, Keith Bajada, Shawn Dimech, Isaac Mansueto (Capt. ), Kyle Micallef, Roland Said, Andre Deguara. Used Subs: Francesca Cutajar, Kurt Grixti, Glen Bonello, Kimberly Dimech.